Under the new data protection law starting in May 2018 we have a number of lawful reasons that we can use (or ‘process’) your personal information. One of the lawful reasons is called ‘legitimate interests’. Broadly speaking Legitimate Interests means that we can process your personal information if we have a genuine and legitimate reason and we are not harming any of your rights and interests. So, what does this mean? When you provide your personal details to us we use your information for our legitimate business interests to carry out our work of servicing businesses throughout our territory. Before doing this, though, we will also carefully consider and balance any potential impact on you and your rights. Some typical examples of when we might use the approach are for preventing fraud, direct marketing, maintaining the security of our systems, data analytics, enhancing, modifying or improving our services, identifying usage trends and determining the effectiveness of our campaigns and sales. We will process the personal information you have supplied to us to conduct and manage our business to enable us to give you the most appropriate marketing, information, service and products and provide the best and most secure experience. These are what we consider to be our ‘Legitimate Interests’. Marketing: We will make best effort to ensure our marketing is tailored and relevant for you where-ever we deem you to be in the sales cycle. Process Orders: In order for us to process an order, payment has to be taken and contact information collected, such as name, address and telephone number, provided. Both the buyer and seller would need to record the transaction. Your best interest: Processing your information to protect you against fraud when transacting on our website, and to ensure our websites and systems are secure. Personalisation: Where the processing enables us to enhance, modify, personalise or otherwise improve our services/communications for the benefit of our customers and prospects. Analytics: To process your personal information for the purposes of customer analysis, assessment, profiling and marketing, on a personalised or aggregated basis, to help us with our activities and to provide you with the most relevant information if this does not harm any of your rights and interests. Research: To determine the effectiveness of promotional campaigns and advertising and to develop our products, services, systems and relationships with you. Due Diligence: We may need to conduct investigations on supporters, potential customers and business partners to determine if those companies and individuals have been involved or convicted of offences such as fraud, bribery and corruption. We will also hold information about you so that we can respect your preferences for being contacted by us. When we process your personal information for our legitimate interests, we will consider and balance any potential impact on you and your rights under data protection and any other relevant law. Our legitimate business interests do not automatically override your interests – we will not use your personal data for activities where our interests are overridden by the impact on you (unless we have your consent or are otherwise required or permitted to by law). Remember, you can change the way you hear from us or withdraw your permission for us to process your personal details at any time by using our contact form on the ‘Contact Us‘ page. We chose RMS to take on our project as we were impressed with their prior experience in our type of build, their depth of expertise and knowledge, and the fact they were a family run company. 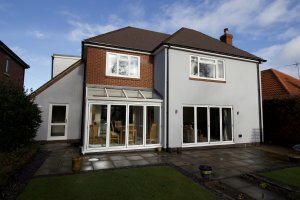 We had quite a complex project that involved a lower and upper floor extension, internal and external remodelling, in a tired and dated 1970’s house. We have now finished our build and are very happy and impressed with the service from the company as a whole. Mark and David have communicated well throughout the build and we stuck to site meetings once every two weeks, which has really kept everyone up to speed. We lived in our renovation and the team have been sympathetic to us continuing with normal family life. Mark has and gone over and above his role to respond to random texts at all hours and allay any concerns. The RMS team have been excellent workers and very easy to have around. We have been challenged with several issues that typically arise in older buildings but have been able to overcome them with timely and cost-effective solutions because of the capabilities of the management and workforce to adapt and suggest alternatives. These are things that cannot be predicted before starting work and the team had the knowledge, skills, adaptability and flexibility to manage these issues which we believed was critical to the project progressing so well. We are very happy with the high class finish in all areas. This has been down to the attention to detail by RMS staff and nothing has been too much trouble to get right. We have been recommending RMS’s services to our friends and family and look forward to keeping in touch and seeing other developments. We are already missing the daily banter but not the tea run. “We were recommended RMS by a number of architects we approached for our renovation design and plans. The deciding factor in choosing RMS was that they were reasonably priced compared with others but more importantly they had itemised every key element of the project and costed it. Furthermore, they promised regular statements identifying how much of each element was completed, which led to the interim bills. The first meeting with Mark of RMS enhanced our confidence that RMS would work with us to achieve the best results and this was one of the key successes of the project – Mark and his team often discussed issues with us and we came to collective solutions. We made clear what we wanted but they often made very good suggestions based on their experience, which we were happy to accept. They also saved us a lot of money with their recommendations on suppliers, particularly for the new kitchen area. Generally the project went to schedule, with inevitable slight variations because of weather conditions. When variations in the project specifications were necessary RMS consulted with us fully and worked seamlessly with the structural engineer, the architect and the building regulations inspector to arrive at the best solution. RMS employed some of their staff directly and sub-contracted other work, but it felt like one team – they all worked well together. Another promise made at the outset of the work was that there would always be a site manager in place and this was a major asset on the project – Bill was the key person who ensured the whole project went smoothly, ably assisted by Jason. We were always 100% confident that they would let us know of any issues that needed discussion and resolution. In addition, communications with Mark were many and varied and he always responded promptly, helping to resolve unexpected issues. Considering the amount of work needed on our house, it seems in hindsight incredible that it was all achieved in about 6 months. The final outcome is a ‘forever home’ that we are delighted to live in. To say that this was a domestic refurb of a 1960’s detached house is something of an understatement – we completed replanned the house, moving the stairs, kitchen and bathroom. While we were developing our proposals for the house, we had seen RMS working near by on a number of interesting domestic projects. The project supervisor we appointed, Design Team Partnership, put forward a shortlist of possible builders, one of which we were pleased to see was RMS. RMS combined an attractive price and a well-established reputation. From the outset Mark, the MD, has been approachable and positive as the project has moved forward. The proposed contract period was 13 weeks and that timetable was achieved – with the exception of the external rendering which had to wait four months for the snow to go – but RMS completed it very quickly once the over night temperatures were high enough! Half way through the project, our project supervisor was called up for Jury Service. The in-house work force was very good, coping readily with this, checking internal finishing details with us directly as they progressed. One piece of advice from Mark was to reskim the whole interior of the house. This only added marginal to the overall cost but has been an excellent investment. 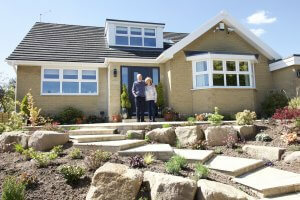 We are delighted with the completed house and the quality of the building work – we are very happy to recommend RMS! The workmanship was first class provided by a great team of builders who took pride in their work. There were regular site meetings with Mark and the architect to check progress and discuss next steps and, considering the size of the project, it went very smoothly. It was a pleasure to have everyone on site and I would have no hesitation in recommending RMS. RMS Construction is a fantastic company. 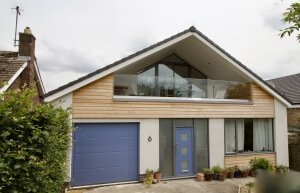 They are currently working on a loft extension and kitchen conversion for us, and we can't fault their work. Mark is very responsive to queries, and the guys on site couldn't be friendlier or tidier. The quality of work is second to none, and we really value their expertise and attention to detail. Genuine, fair prices, and a top notch job. We'd recommend them to anyone! We heard about RMS from our Architects as they were included on our tender list. The initial meeting went well and we felt comfortable with Mark and the work he had done in the past locally. We particularly liked the fact that the quotation was itemised for us so that any additions and omissions could be readily identified and this was probably the deciding factor in running with RMS. The works started on time and throughout the build we were happy with the tradesmen who were all time served and experienced. We were hands on being on site most days and were able to anticipate most issues so they were resolved before progress went too far. The site meetings with the Architects and RMS were invaluable and variations were explained and agreed with costings in most cases. Assistance was given in pointing us in the right direction for plumbing, heating tiling and the like and although we had a lot of decisions to make we were reasonably in control as the flow chart enabled us to anticipate when materials were needed and that together with progress updates kept us informed. Sometimes the detail of site meetings did not make it through to the men on site but this was generally quickly resolved. The contract was completed on time. We are very pleased with the overall finished article and would both use RMS again and recommend them to friends and business connections. RMS was recommended by out architect as reliable and high quality . We used two others as well for tendering and arranged an afternoon for each to present. Mark was well prepared and able to answer all our questions and we liked his open manner. RMS was not the cheapest quote but it was complete. We could see from the less expensive one that there were holes in it. Work started well and his team of men were all pleasant, friendly and tidy even though they were working on an unoccupied site. End results were excellent. We added to the work by getting exterior fencing and paving done by RMS and there was a fair quote given for this. Mark was always available and one never felt he was avoiding a problem. The one thing I regret is not always getting everything written down which lead to my confusing the name of a kitchen company and getting a much poorer end result than I think I would have got from the one he usually used. I would certainly recommend him to others and have done so. Dr Jenny & Dr Rod Pascoe. RMS was recommended by out architect as reliable and high quality . We used two others as well for tendering and arranged an afternoon for each to present. Mark was well prepared and able to answer all our questions and we liked his open manner. RMS was not the cheapest quote but it was complete. We could see from the less expensive one that there were holes in it. Work started well and his team of men were all pleasant, friendly and tidy even though they were working on an unoccupied site. End results were excellent. We added to the work by getting exterior fencing and paving done by RMS and there was a fair quote given for this. Mark was always available and one never felt he was avoiding a problem. The one thing I regret is not always getting everything written down which lead to my confusing the name of a kitchen company and getting a much poorer end result than I think I would have got from the one he usually used. I would certainly recommend him to others and have done so. Dr Jenny & Dr Rod Pascoe. 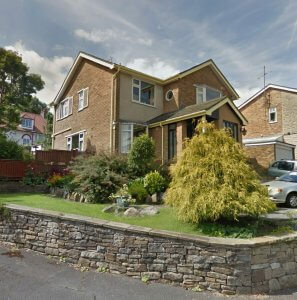 On deciding to move house we bought a bungalow requiring reordering to make it more user friendly. Our architect put us in touch with RMS. They were one of the companies who tendered for the project. They were competitively priced and had good recommendations for the extensive structural and general building work needed to be done to convert the property to our architect’s design. After the initial meeting a start date and work schedule was quickly provided and work started promptly on the allocated time. We had full confidence in the onsite work force that came and went when the different trades were required to complete the project. The inevitable schedule delays on this complex project were managed efficiently. Texts or phone calls to the director of the company, Mark Smith, regarding any general queries or snagging issues were generally dealt with promptly and effectively. Communication regarding progress and costs were provided at regular intervals and the project was completed on budget. Various suppliers were recommended, some of which we used. We found them competitively priced and they provided a good service. We feel a good job has been done and we are highly delighted with the end product. We would recommend RMS to anyone seeking a company to do major building work. On deciding to move house we bought a bungalow requiring reordering to make it more user friendly. Our architect put us in touch with RMS. They were one of the companies who tendered for the project. 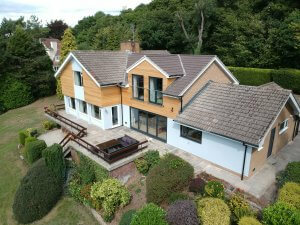 They were competitively priced and had good recommendations for the extensive structural and general building work needed to be done to convert the property to our architect’s design. After the initial meeting a start date and work schedule was quickly provided and work started promptly on the allocated time. We had full confidence in the onsite work force that came and went when the different trades were required to complete the project. The inevitable schedule delays on this complex project were managed efficiently. Texts or phone calls to the director of the company, Mark Smith, regarding any general queries or snagging issues were generally dealt with promptly and effectively. Communication regarding progress and costs were provided at regular intervals and the project was completed on budget. Various suppliers were recommended, some of which we used. We found them competitively priced and they provided a good service. We feel a good job has been done and we are highly delighted with the end product. We would recommend RMS to anyone seeking a company to do major building work.